People sometimes ask, “As a Buddhist, what do you believe?” I usually respond, “as little as possible.” As a Buddhist practitioner, there are some few things I genuinely know, but many things–large and small–about which I only hold, however tenuously, an opinion. My opinions on these things aren’t worth very much. They’re really not much better—at best—than yours. Among the things I don’t know: What happens after death? Is perfect enlightenment possible? 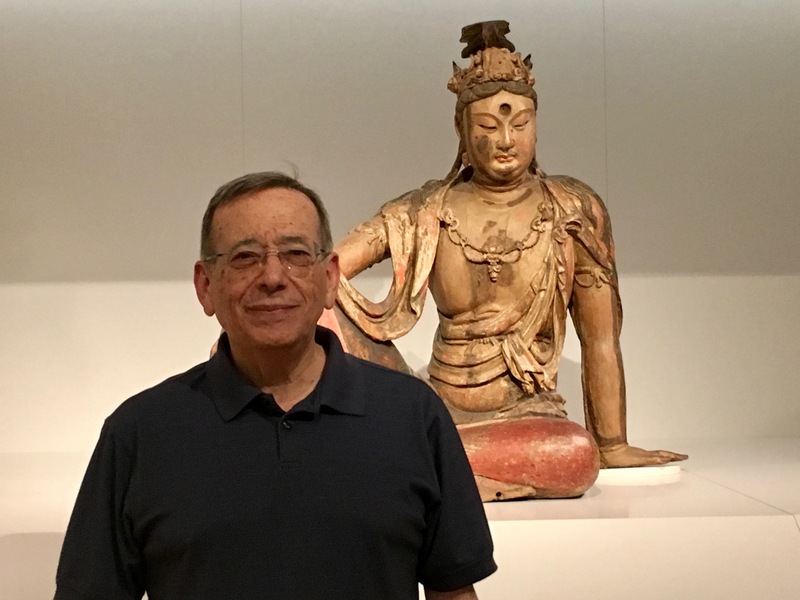 Do all things possess Buddha Nature? Does life have meaning? Is there a God? How does consciousness relate to matter? I can tell you what the various Buddhist traditions say about each of these questions, but I can’t attest that what the traditions say is true. I know it’s good to be as kind to others as we can—to care for their wellbeing, wish them the best, and help them whenever possible. I know it’s good to pay attention to, care about, and maintain and improve (if possible) everything that falls within our small purview, including animals, plants, the natural environment, and objects intended for our comfort, convenience, or aesthetic appreciation. I know it’s good to be in touch with the fullness of life—to be deeply present and attentive to its immediacy, intricacy and complexity. I know that while we ought not to live for pleasure or expect pleasure to last, that accepting some modicum of pleasure into our lives is an essential part of wellbeing. I know it’s good to listen carefully to others, hear what they’re actually saying, and try our best to see things—if only provisionally—from their point of view. I know its a good thing not to think too much of oneself: to be aware not only of one’s strengths and virtues, but also one’s weaknesses and frailties, as well as one’s contingency and ultimate lack of control over fate. I know it’s a good thing to acknowledge change and impermanence—that all “things” are really slow-moving processes subject to continual transformation. I know that all things exist by virtue of their interconnectedness with everything else and that we are all integral parts of a larger whole that we only dimly understand. I know that when we examine living systems we find complexity, intricacy, transformation, and something that looks suspiciously like intention, all the way down. I know that life is too rich and complex to be fully encompassed by any single religion or philosophy. I also know more specific things—the taste of chocolate; the scent of the ocean; the beauty of a sunset; that on this planet, when things are dropped they fall downwards. And then there are things I “believe” based on my trust in the sources of the information: that the speed of light is 186,000 miles per second; that matter is composed of sub-atomic particles; that humans evolved through natural selection; that the climate is warming due to greenhouse gases. I really don’t know any of these things in a first-hand kind of way, but I’d be willing to bet good money on them. Of course, when I say “I believe matter is made of sub-atomic particles,” what am I really attesting to? My understanding of sub-atomic particles is very sketchy. I could say, “They’re very small pieces of matter—something like particles.” But saying “they’re something like particles” is really an analogy. In some ways they’re not like particles at all; they also have wave-like properties. Some people think they’re more “like” vibrating strings. When I think of particles in my everyday life–motes of dust, breadcrumbs, grains of sand–they all have a specific shape, color, and texture. What is the shape, color, or texture of a subatomic particle? These attributes simply don’t apply to the subatomic world. There is an important sense in which, although I am very familiar with the concept of sub-atomic particles, I really don’t know them at all. Much of what we believe has a similar character. There are those who would lay down litmus tests to determine who’s really a Buddhist and who isn’t. They say that if you don’t believe in reincarnation or in complete and perfect enlightenment, then you don’t really belong in the Buddhist club. But I’ve never been a Buddhist in order to belong to a club. Not that I have anything against clubs. I happen to enjoy good company as much as the next person. 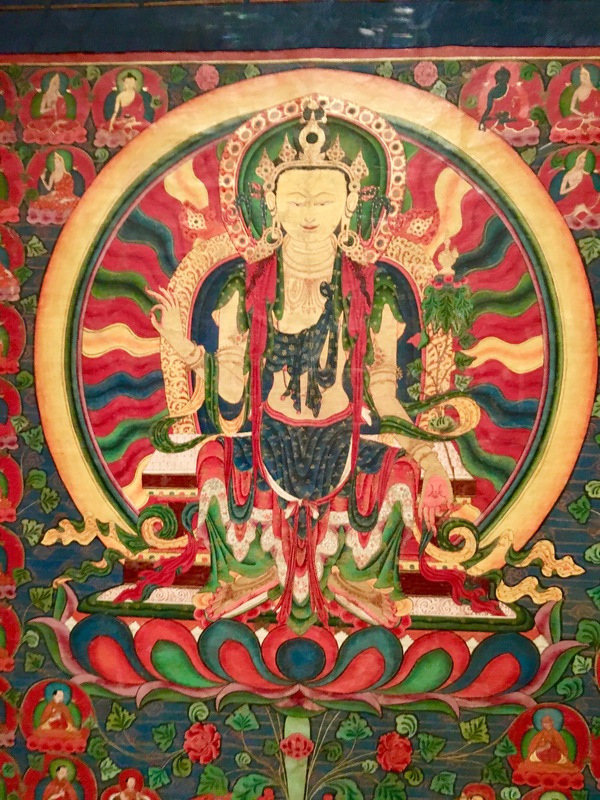 My response to these kind of litmus tests is that–for me–“being a Buddhist” means 1) paying deep moment-to-moment attention to life, 2) taking responsibility for one’s thoughts and actions, 3) committing to a life of compassionate activity for the benefit of all beings, and 4) understanding impermanence, interconnection, non-duality, and emptiness. It’s a Buddhism based on what I really know. Everything else is interesting conjecture. All of it may be true, or none of it. Maybe one day I’ll know for certain. But I wouldn’t bet money on it. Nor do I consider knowing the rest of it to be of primary importance. Only moment-by moment careful attention, caring, and understanding our deep interconnection with each other and with the Earth is of primary importance. Looks not only can be, but ARE deceiving when it comes to this point. That is one of the few things I know as best as such things can be known. Not because of direct experience, but because I travel the path of the scientific method, not a rabbit hole. I may have misunderstood. It seemed to me that your statement accommodated, perhaps inadvertently, the notion of intelligent design. The specific knowledge that I claim here through the scientific method is the theory of evolution. “As best as such things can be known,” that is, indirectly by trusting scientists and their reports to us non-scientists, I have no doubt that Darwin’s theory is right and intelligent design is wrong. I am more accepting of the possibility that human beings and other forms of life express intentions because in this case the definition of intention would imply the possibility, much like “I think therefore I am” brings with it an “I” that may or may not exist. Even then, I would differentiate between what lawyers call general and specific intent. One is an intent to do the act, for example, to shoot a rifle. The other is the intent to kill the victim by shooting him with the rifle. In the abstract, Cartesian statements with built-in assumptions may not seem very important outside the realm of philosophical conjectures, but when a definition makes it to a jury instruction, it can mean the difference between life and death. If so, would you say that, in giving the relevant instructions, the judge intended to either free the convict or send him to the gas chamber? Sometimes watching the sky is enough to know what it is felt like, but sometimes one needs to share it with other in order to make it more accurate. Thank you for sharing your sky. I want to share another rabbit hole that connects to the previous one for intention. At least according to the teachings in Roshi Kapleau’s lineage, which derives from the likes of Yasutani Roshi, Hakuun Ryoko, and originally Vypashin Buddha himself (I have been told), we all bear some responsibility for almost everything and according to the workings of karma. For example, you get on a plane that is brought down by terrorists and everyone dies. You are partly responsible for your own death because you chose to fly on that plane. But there is more: your actions might be considered part of the karma responsible for everybody’s death because you contributed to the flying of the plane when you bought the ticket. Now enter an adjacent hole. You throw a switch to reroute a train because a car is stalled up ahead on the rail line; if you don’t a family that is trapped inside will die. As a consequence, the train derails because the unscheduled route had a curve that was too pronounced for the speed of the train. You may have saved the lives of the family, but aren’t you partly responsible for all the death and destruction that results? What intention whatsover did you have to create that chaos? Couldn’t you argue that you didn’t even have the general intent to do the act because the act you intended was to save the family? Amaury, according to the the Pali Canon, karma only accrues from our intent and not from the unintended consequences of our actions. For example, while the Jains during the Buddha’s lifetime swept the ground with a broom before stepping forward so that no insect would be inadvertently hurt, the Buddha thought the Jains were overdoing things. If one doesn’t intend to kill insects, the Buddha reasoned, normal everyday caution is sufficient; one needn’t worry about every single step one takes as long as one isn’t heedless. While we may be–to some degree– causally responsible for everything that occurs in the universe due to the fact that everything is interconnected, we aren’t morally responsible for everything. This early Buddhist view is, however, at variance with consequentialist ethics and at least some modern conceptions of retributive justice. It is in line, however, with the idea of intent as a mitigating factor in legal matters. Your erudition never ceases to amaze me. Happy I’m not a Jain.